Nestled among seven hills, it almost feels like Medellin, the second largest city in Colombia, was built especially for tourists. That wasn’t always the case. In the 1980s and 1990s, it was home to drug cartels and intense violence. 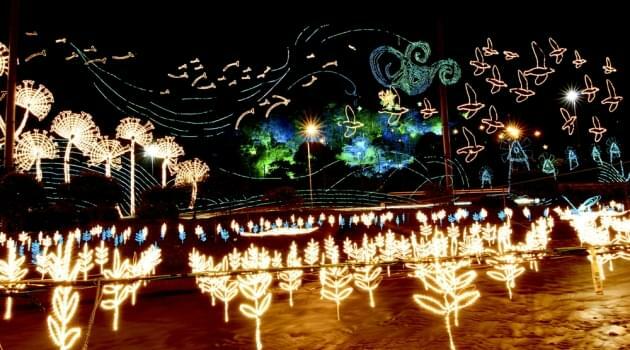 But city planners have transformed the area into an international tourist destination. Just getting around is an adventure. 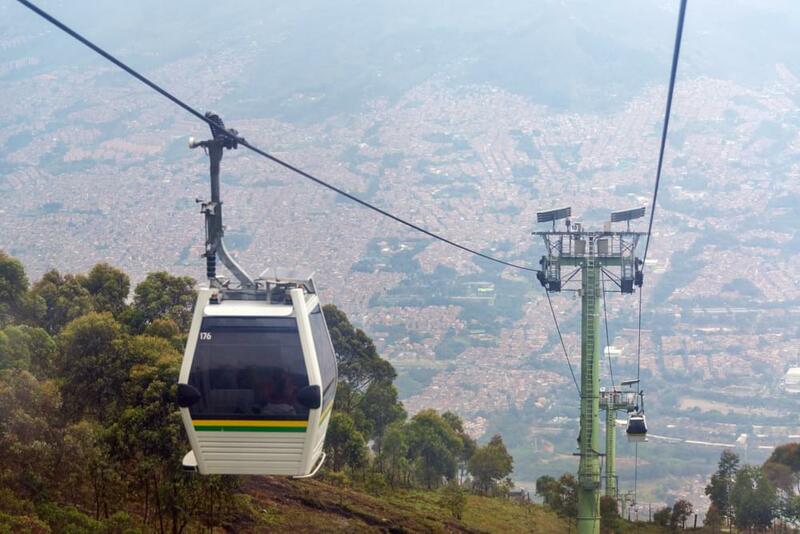 The Metrocable is a network of chairlifts that carries passengers north and south through the city and above the Medellin River. There is also a 1,300-foot-long electric escalator that climbs almost 30 stories up a hillside to the highest parts of the city. The Arvi Ecotourism Park covers 20,000 acres of land containing lakes, forests, streams and many hiking trails. There are plenty of activities, such as biking, camping, fishing, swimming and simply taking in the magnificent city views from any of its seven hills. There are other parks near the city, too, including North Park, Juan Pablo II Park, and the Santa Fe Zoo, which is a home to more than 1,000 animals from all over the world. Medellin cleaned up its act long ago, but you can still book a stay at a drug lord’s residence. Pablo Escobar’s former mansion, complete with an Olympic pool, is located in the city center and is open for business. At the very least, you could take a guided tour exploring the drug wars and Colombia’s violent past. Although there aren’t a lot of airlines flying to Medellin, award seats are relatively easy to find. If you can book in advance, getting to Medellin with miles should be easy. American Airlines flies to Medellin from Miami. LAN Colombia, a oneworld partner, connects Medellin with Bogot, making dozens of additional connections possible. You can fly to Colombia in economy for only 30,000 miles roundtrip during the low season (January 16 to June 14, and September 7 to November 14). United Airlines doesn’t fly to Medellin, but Star Alliance members Copa Airlines and Avianca do. Some of their subsidiaries also fly there, so finding a seat is easy with MileagePlus miles. You can also mix United and Copa Airlines to fly through Panama City. There are many options for award flights, as long as you’re flexible. No Star Alliance carriers are offering flights with separate first class cabins on this route. Delta will begin flying to Medellin from Atlanta on December 19, 2015, but Aeromexico currently flies there via Mexico City. Award seat availability is already good, and will only get better once Delta’s service begins. The oneworld alliance offers the best deals on flights to Medellin in all classes. In fact, first class tickets cost the same as or less than the business class awards offered by the other alliances. And if you can fly off-peak, you’ll save at least 10,000 miles in economy.